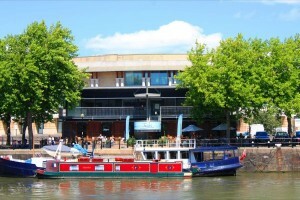 Jacks Brasserie on Bristol’s Harbourside are hosting an exclusive taster evening before it reopens for the 2012 season, from 6pm to 9pm on Thursday, February 9th. For just £10 a person guests will have the chance to indulge in a range of mouth watering canapés based on dishes from the new menu and made from the finest, locally sourced, seasonal produce. To complement the culinary delights on offer, each canapé will be perfectly matched to an accompanying wine, supplied by Matthew Clark. Jacks Brasserie is set away from the hustle and bustle of city life, in a secluded spot on the Bristol harbour. With live music, sumptuous food and elegant surroundings, this evening is not to be missed. Tickets are just £10.00 per person, so to book a place or for more information contact Simon on 07900 431630.